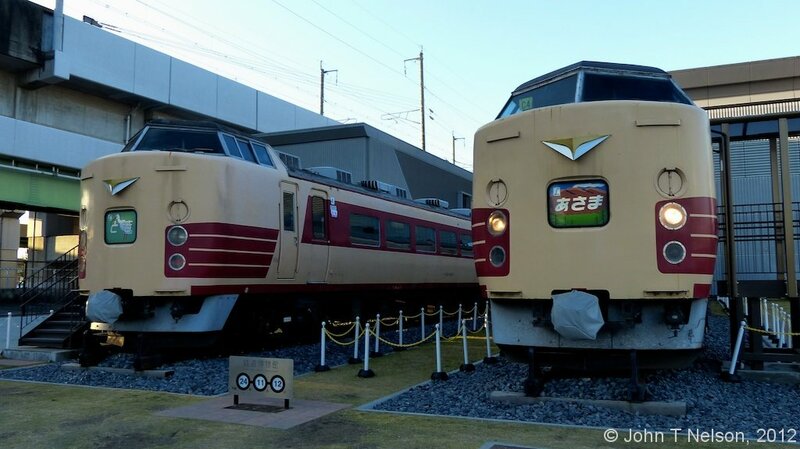 My visit to the Railway Museum in Omiya, begins with a reasonably complex train trip from Monzen Nakacho with the Hibya line subway to Ueno station on the JR system. To get to the Hibya line we have to walk across the Eitaibashi Bridge which yields us fantastic images of Tokyo Sky Tree over the Sumidagawa as well as other nice imagery on the way. The Hibya line subway ride to Tokyo Metro Hibya station is straightforward enough. Now we have to exit the subway system and board our connecting train through JR Ueno station. Ueno is an old old station and today a major hub for subway, electric railway and shinkansen, so old in fact that they still use an old style paper train map for the Utsunomiya line. We had a false start at Ueno but found a gem in a platform restaurant: The Country Kitchen, which serves Western fair: egg sandwiches and hot dogs. A warm place where travelers hang out. Once oriented and on the correct train, we continue our trip to Omiya and enjoy the company of other train lines passing by on the way. We arrive in Omiya and… wow, this is a large and VERY active station, if you don’t watch yourself you can get run down! Plenty of restaurants in the station too! Next we board the “special shuttle,” another one of those trackless trains to the Railway Museum which has its own stop on the shuttle, except this one has a driver. The shuttle too is heavily used, mostly by commuters and travelers on their way to numerous stops after the Railway Museum. 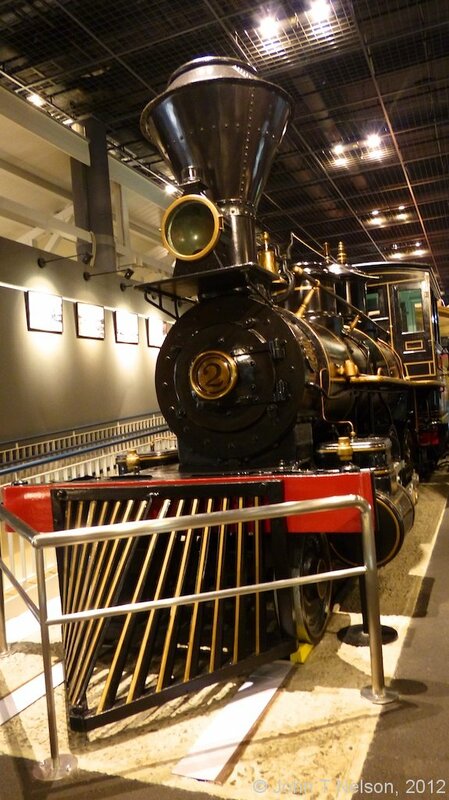 And we arrive at the museum and several exhibits before purchase of the necessary ticket from a ticket machine. Andrew, purchases a ticket which credits his Suica card. I purchase a Rail Museum card which allows me access when I scan it at the turnstile, but I have to surrender to the museum when I leave. 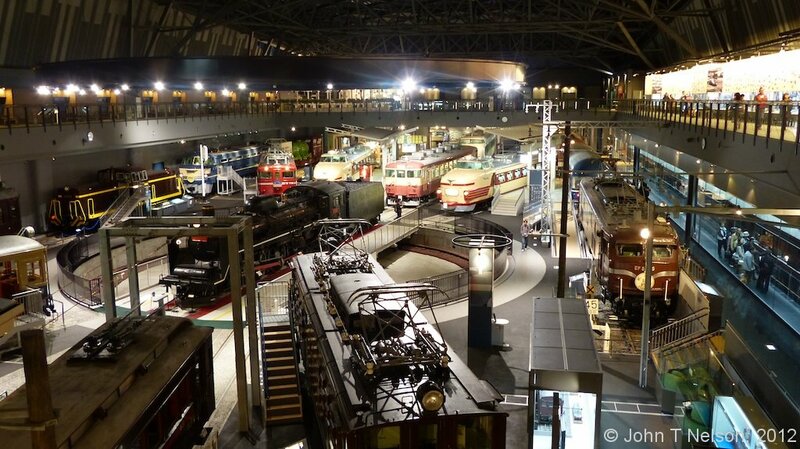 The advent of the electric rail system in the 1950’s and the wonderful locomotive designs. 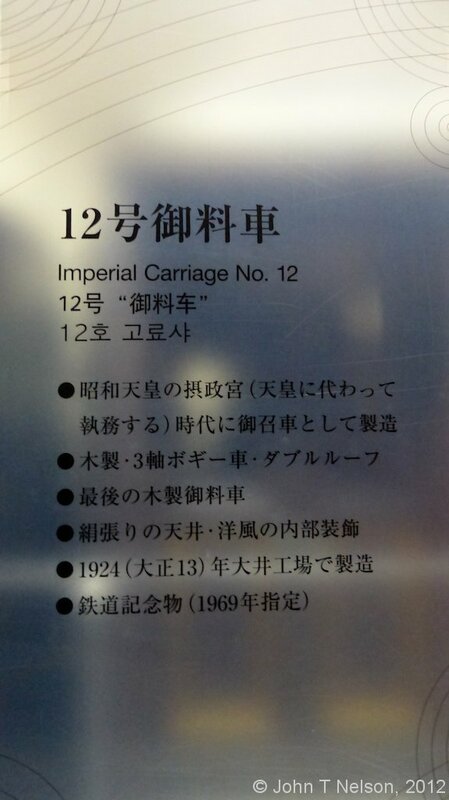 The Imperial coaches used by the emperor, although I did not take the guided tour. 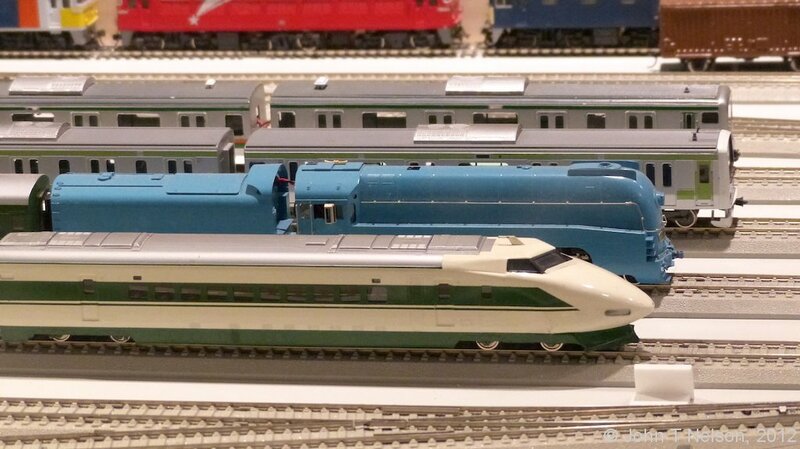 The special Shinkansen Series 0 exhibit. 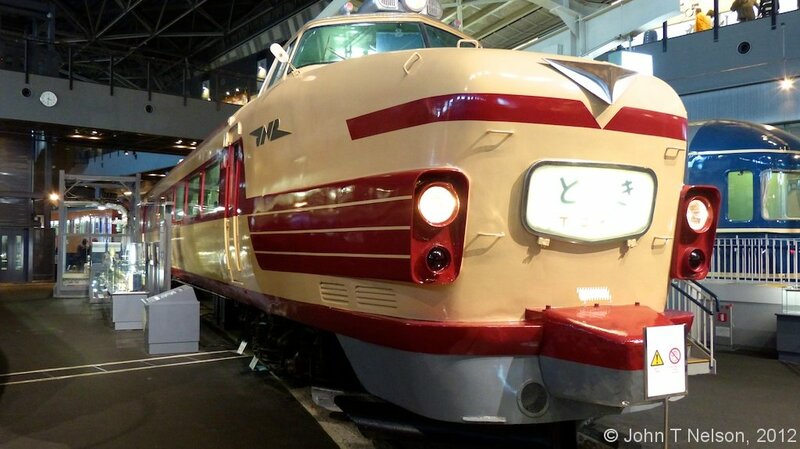 Series 0 was Japan’s first bullet train deployed and used by the public in 1964. 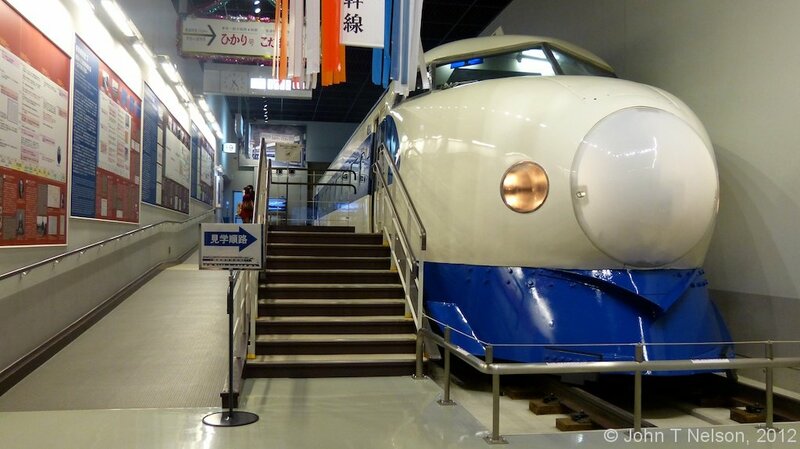 I boarded a real Series 0 Shinkansen train even if it was a static display in the museum. 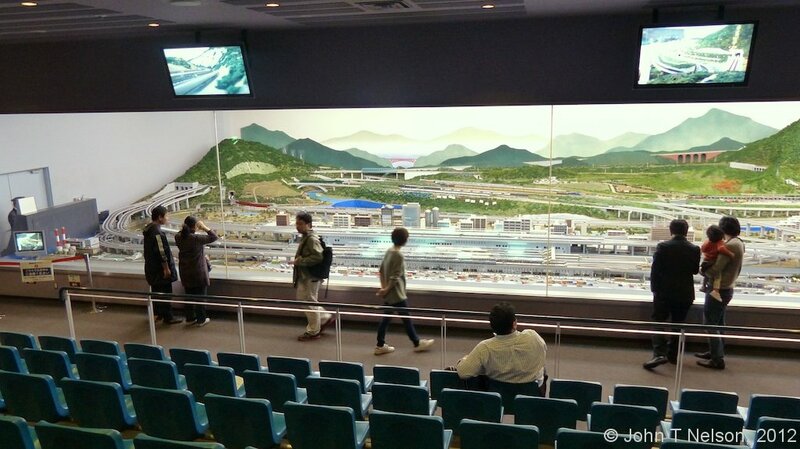 The model train show with an HO model train setup to die for. What museum visit would be complete without a visit to the gift shop? I found a rail fan magazine featuring an article about the Tora-san character from the early Tora-san television show! 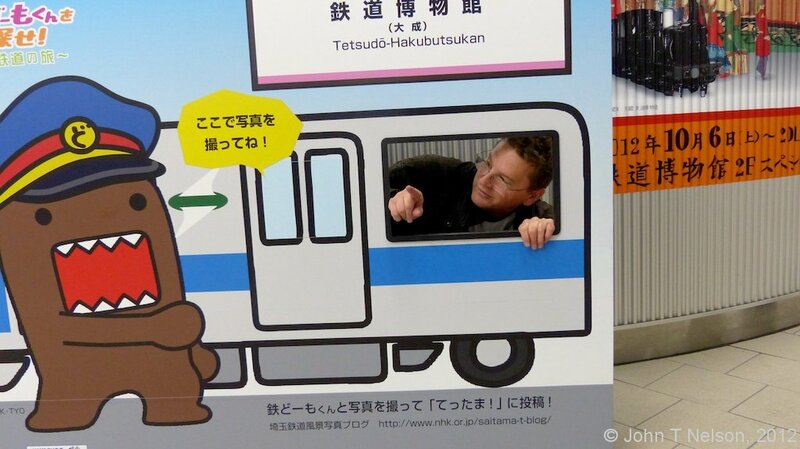 I have my picture taken with Domo-kun! In the break room full of vending machines, we befriend a stray child who has wandered away from his mother. We take the shuttle back to Omiya. Both the shuttle and the rail station are as crowded as Tokyo Station. Yes, I know its rush hour, but this is ridiculous. 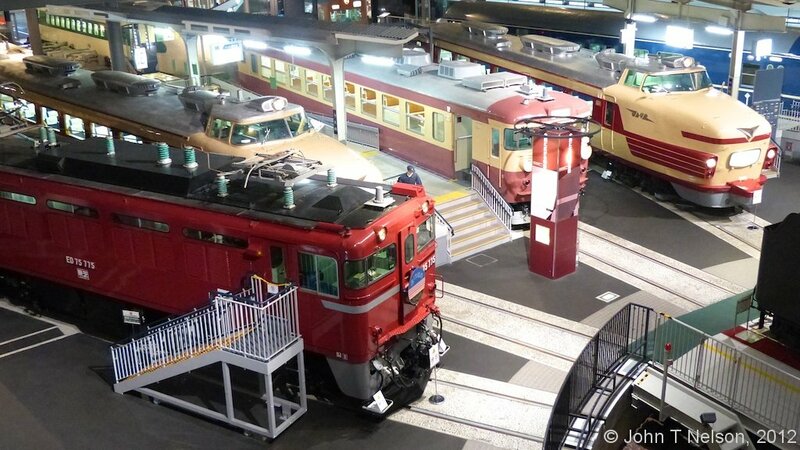 Omiya must be a hub for several surrounding communities or a major rail thoroughfare. We stop for dinner at Becker’s Sandwiches, a burger and sandwich station restaurant where I have a burger with onions and a fried egg on top, a side of fries and CC Lemon drink. Yum! We take some pictures outside the rail station while waiting for the commuter traffic to die down. 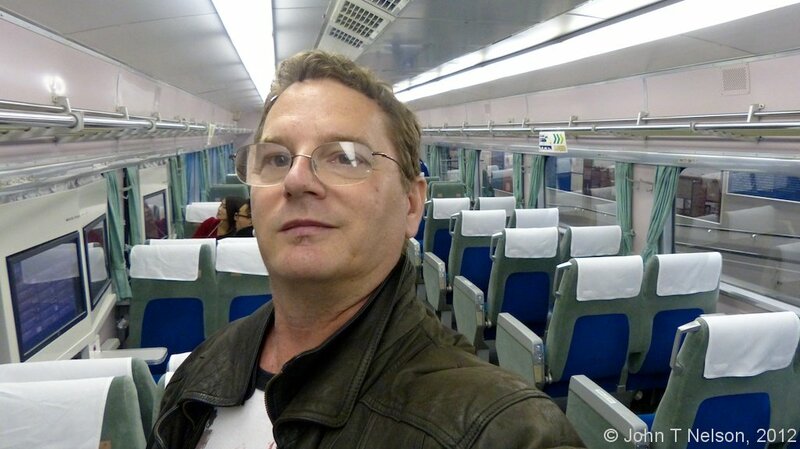 We board the JR Utsunomiya line train bound for Ueno and finally relax a bit. Andrew ducks into a Book Express while I hang outside in the station looking important, cool and busy on my cell phone. In point of fact, I’m typing in this entry into my cell phone notepad. 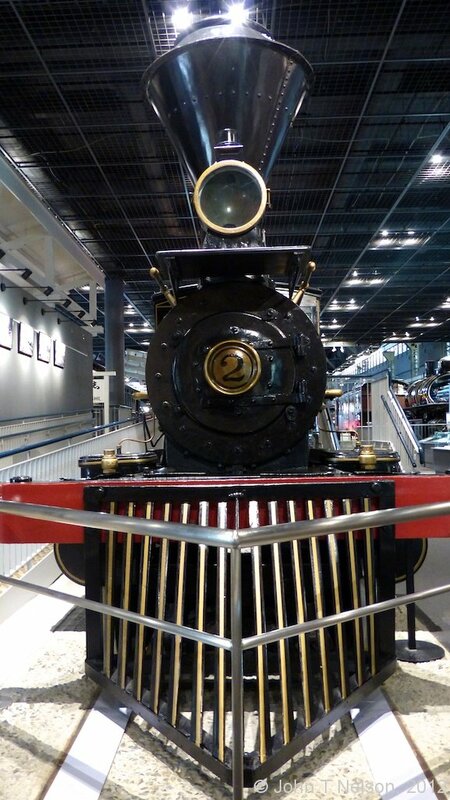 My Railway Museum journey started late with a long and complex train ride to and from the museum, but like the Edo-Tokyo museum I know I’ll return one day to enjoy even more Japan history and culture.